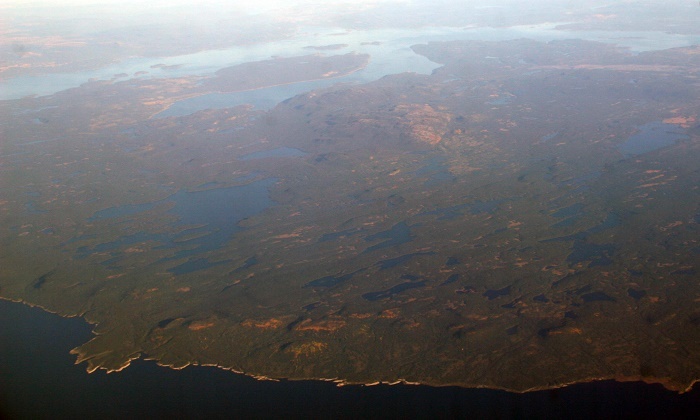 René-Levasseur Island is a very large island which was created artificially with the creation of the Manicouagan Reservoir, located in the Québec Province within Canada. 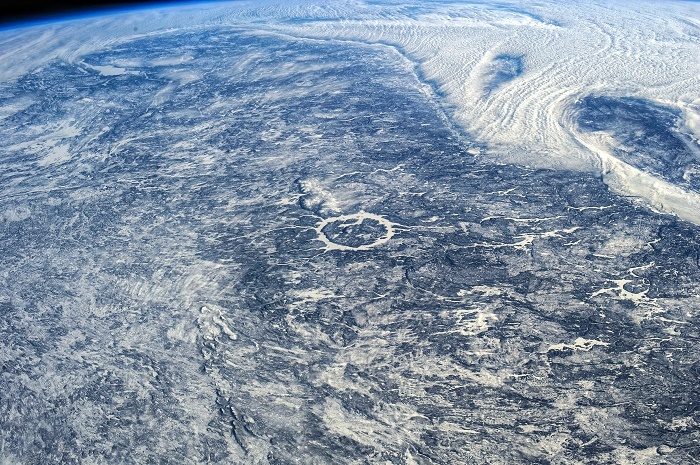 With an area of about 2,020 square km (780 square mi), it was formed by an impact from a meteorite that hit the planet sometime 214 million years ago. 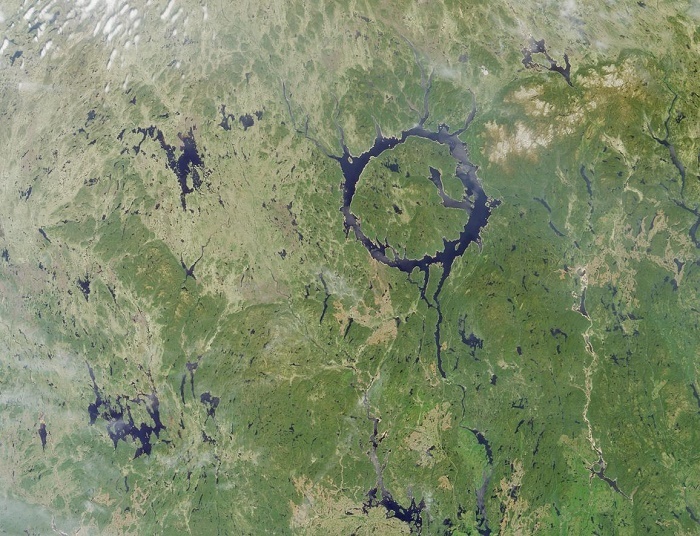 Still, the island came into existence when in 1970 the reservoir was flooded, which actually merged two crescent-shaped lakes, known as Mouchalagane Lake on the western side and Manicouagan Lake on the eastern side. 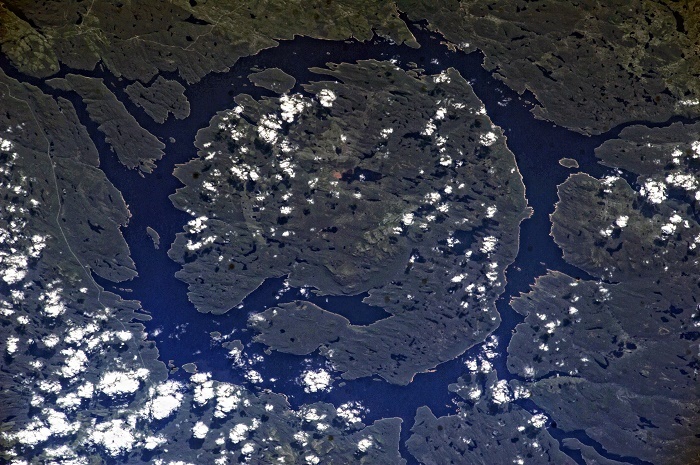 Nowadays, the René-Levasseur Island disputably is known as the largest artificial island in the world, and usually people are noticing it when they are flying from Europe towards the countries in North America. 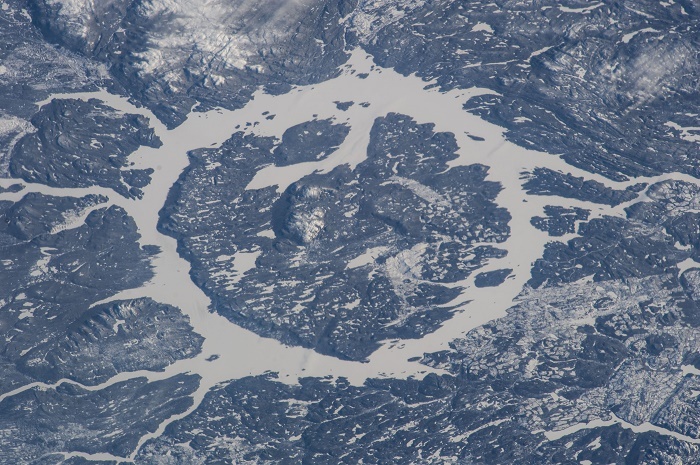 Named after René Levasseur, who was the chief engineer responsible for the construction of Hydro-Québec’s Daniel-Johnson Dam on the Manicouagan River, it is also known as the “eye of Québec” with its distinguished form easily discernible from space. 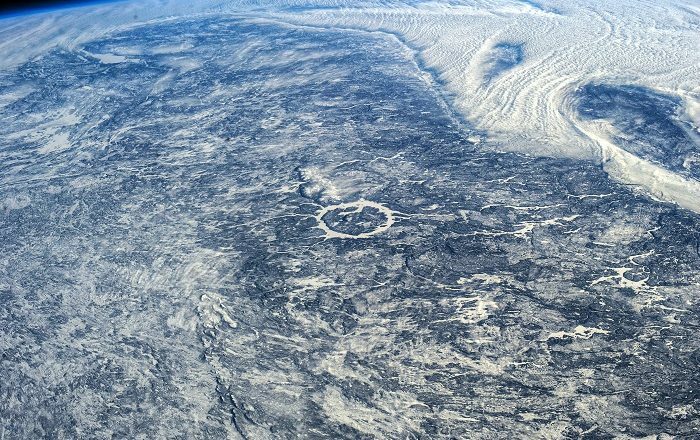 There is the Mount Babel which is the highest point on the island, measuring at a height of 952 meters (3,123 feet) above the sea, and 590 meters (1,936 feet) above the Manicouagan Reservoir level. 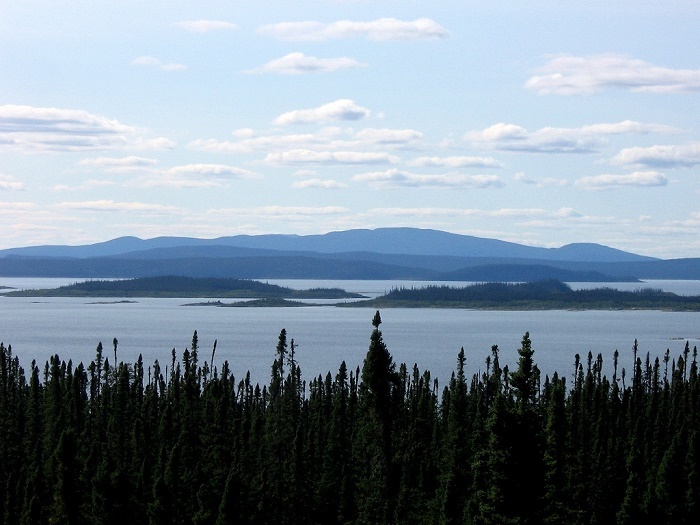 Nevertheless, there is a legal battle between the Innu First Nation of Betsiamites against the country, as the native population is trying to protect its indigenous land from logging, however, not a lot of people are taking into consideration the wishes of those who have been living in the area first. 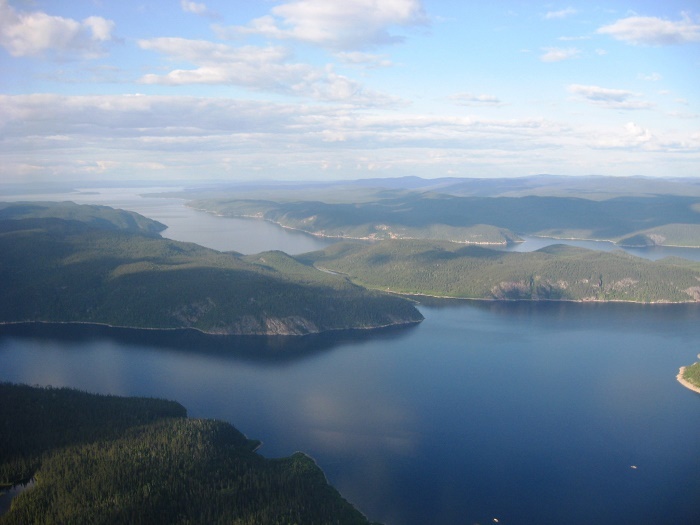 In addition, the island is also the object of environmental and ecological campaign that lobbies to the government of Québec in order to create a protected area spanning the entire island, and even to be made as a Canadian National Park, an ecological reserve, a biodiversity reserve and an exceptional geological site. 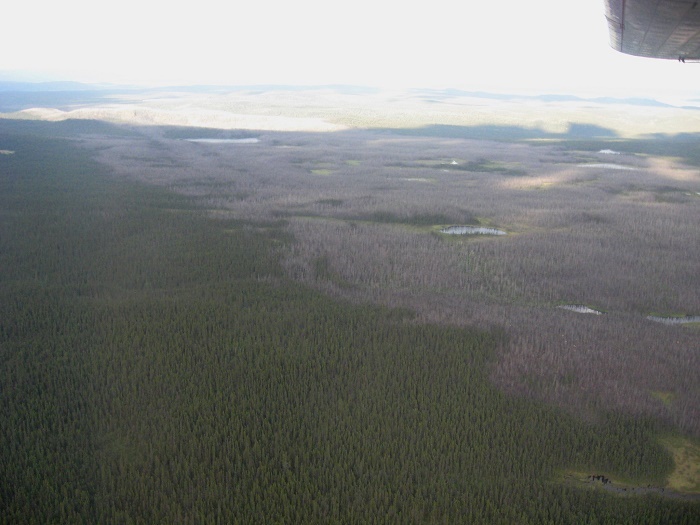 Still, with the many expeditions and researches that have been carried out, it was discovered that there is a significant number of old-growth forest which should be definitely protected as Exceptional Forest Ecosystems (EFE) under the Québec Forest Law, and so far there have been identified seven ecosystems with hope that all of them will bring higher conscience to the people creating the policies of the region. 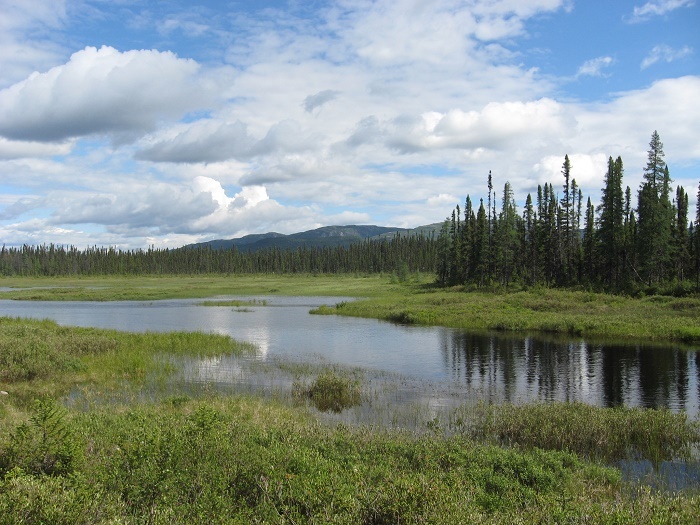 Until then, people will continue to discover unexpectedly this impressive island on their maps, and shall marvel more to the amazing work done by the nature and finished by the people.